After the merge, you can still enter your character through the previous channel. For example, if you are in S1 before your server has been merged with S2, you can still login to the game through S1, and actually you've already entered the merged server. For example, suppose S1 merges with S2 and you have a character on each. When you login to S1, your character will be whichever character you had before on S1, and the same for when you login to S2. 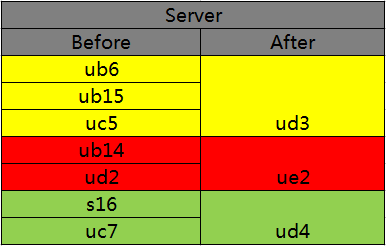 Hot events in merged servers will be reset after the merger; however, rewards from existing events are still retrievable. We sincerely apologize the inconveniences this may have caused.